Roughly 10 years of development, “10,000 drawings & 5 trillion lines of code later,” the game was finally ready for release and did so with awards from the Boston Festival of Indie Games and the Seattle Indie Game Competition, to name a few. The game allows players to pop and lock as one of 8 characters, taking part in battles to win control of the city or battle their friends for bragging rights in local 2-player mode. The game has an intensive scoring system, where player’s dancing will be judged in 5 different categories: Funk, Flavor, Flow, Fire, and Flyness. Players can unlock over 40 original tracks by Kid Koala, and collect dance moves to add to your repertoire as you progress through the story. 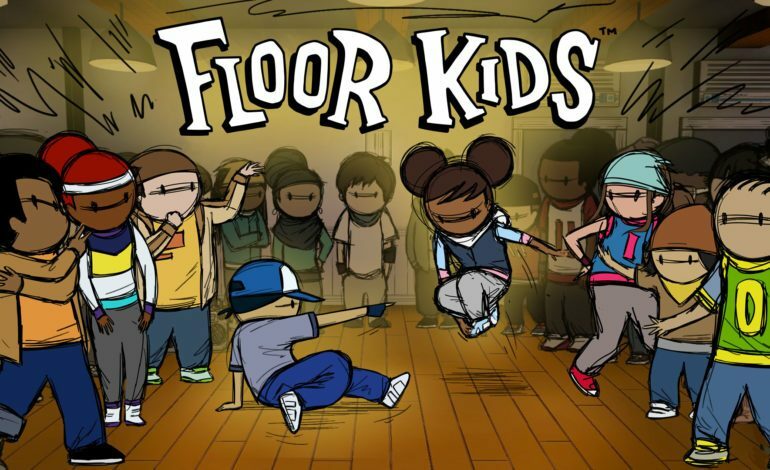 Floor Kids is newly available on PS4 and Xbox One Tuesday, November 27 and is available now on Steam and Nintendo Switch.